Thanks to Martin Kafka for the tip off! There is a two-page spread on Faithless in the July or August (?) 1998 issue of The Face (U.K.). The article is on one page. The photo that covers both pages is of Faithless from behind walking down a street. Rollo is not in the photo. It's the new guy, Dave Randall, a guitarist, who has become the fifth member after a few years of touring with the band. In DJ Magazine, issue from end of June 1998, there's a news item about Faithless that mentions that the new album, 'Sunday 8PM', is due out September 7. Boy George will be the vocalist on one track. Maxi Jazz will provide most of the vocals. Jamie Catto will have two or three songs as well. In the most recent photos of the band (as below from DotMusic item), a new member is featured in place of Rollo, who will remain in the background in terms of touring. Faithless will be following their million-selling debut 'Reverence' with a new album, 'Sunday 8PM', in September. Last week saw a two-track sampler, 'Bring My Family Back'/'She's My Baby', mailed out as as part of the run-up to the new album. The two tracks on the sampler are decidedly downbeat, unlike house epics such as 'Insomnia' and 'Salva Mea' which helped the group sell 4m singles worldwide. "We purposely chose those tracks," says a Cheeky spokesman. "Faithless have always been a bit more downbeat. There were only two of those big house tracks on the last album." The new material, again produced by Rollo, is loosely based around the theme of making and breaking relationships. "As a whole the album's a lot more cohesive than the last one, basically because they've been living in each other's pockets," says the spokesman. "Maxi's lyrics in particular are amazing." The first proper single release will be 'God Is The DJ', the video for which will be directed by group member Jamie Cato who recently directed the video for Cheeky labelmate Skinny's single 'Failure'. The single is one of the album's uptempo tracks but is apparently completely different in sound to the group's previous hits. Faithless will be playing all of Europe's major festivals this summer including Glastonbury, Womad and V98. Some information on the 'Don't Leave' singles from Australia and Japan has been added to the end of the Faithless Discography. Rollo and Sister Bliss are interviewed as part of a Faithless profile in the January 1998 issue of Future Music magazine (U.K.). There are interesting details in the article about how some of the members of the group met, how the first and second Cheeky releases came about, and how Maxi Jazz's vocals replaced a Nina Simone sample on the first ever Faithless track that later became Salva Mea. Dusted's 'Deeper River' came out as a single on November 24, 1997 on Cheeky Records. It's a great track with great mixes, all different from version on the soundtrack to the film, "A Life Less Ordinary". Mentioned in context of resurgence of 7" singles: "...Rollo's done a secret one-sided white label one as Skinny which is threatening to be massive...". "...Rollo and Sister Bliss have remixed a forthcoming Black Grape single...". Danny Boyle is the director of the new video for 'Don't Leave', according to DJ Magazine, Issue 200, 11-24 October 1997. There will be a feature article on the video shoot in Issue 201 of that magazine. Cameron Diaz and Ewan McGregor may be pulled in to shoot footage as a tie-in to Boyle's film, "A Life Less Ordinary". Members of Faithless have two songs on the soundtrack to the film, "A Life Less Ordinary". There is a version of 'Don't Leave' attributed to Faithless and a song entitled 'Deeper River' by Dusted. 'Deeper River' has female blues/gospel vocals (maybe Pauline Taylor?) within a techno-ambient house-scape. Jamie Catto, Ayalah Bentovin (Sister Bliss), and Rollo Armstrong are listed as the writers of each track. The soundtrack is out October 13 in U.K. and October 14 in U.S.
Faithless are expected to release 'Don't Leave' again as a single in the U.K., sometime in October 1997, backed with the 'Return to Twilo' mixes of 'Salva Mea' by Danny Tenaglia, according to DJ Magazine. This is meant to coincide with the U.K. release of Danny 'Trainspotting' Boyle's new film, "A Life Less Ordinary", on October 24 in U.S. and U.K. The film stars Ewan McGregor and Cameron Diaz. This version of 'Don't Leave', mixed by Dave Burnham, is the same as the U.S. "Reverence" album version, the one without the record scratch as a rhythmic element. It is featured as a love theme in the film and on the soundtrack. The song is also expected to be released as a single in the U.S.
From Musik magazine (UK), No. 29, October 1997, p. 20, news column: "FAITHLESS' Rollo and Jamie Cat(t)o, Kelli Dayton from the Sneaker Pimps, Pauline Taylor and Oasis' Hammmond player, Mike Rowe, were among those who got together to record an entire album in two days at the end of August. No names [sic] been given to the one-off project yet, but apparently the main reason they all got together was simply because they're mates..."
Faithless U.S. tourdates for September 1997. "Don't Leave" will be the next single in U.S. Jamie Catto mentioned this at the Boston concert on September 4. Promo CDs for "Don't Leave" have been available since at least early September. See end of Faithless discography for more details and a review of the three mixes, the Hard Mix, the String Mix, and the U.S. album version that varies from the U.K. album version. No word yet on vinyl promos. One new song was played at the Boston concert, one with Jamie Catto on megaphone shouting "Come out with your hands in the air. Come out or we're coming in." Cool stickers were available at the show: long rectangular stickers with rounded ends, an etched-in-steel look to the background, and the words Faithless and Reverence in red floating on top. Faithless have released a promo-only 12" package for 'Salva Mea' on Arista in the U.S. It includes four mixes by Danny Tenaglia, including his primary mix which is 18+ minutes long. Larry Flick reviewed the release in Billboard, June 7, 1997 issue, Dance Trax column, p. 47. Larry praises highly these new mixes and the original album. 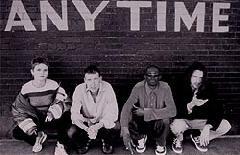 A commercial release of 'Salva Mea' had been scheduled for mid-June 1997, to coincide with the kick off of the first ever tour of U.S. by Faithless. The tour kick off in September but 'Salva Mea' has yet to be released. Faithless are featured in an ad on the back cover of Billboard magazine, May 10, 1997 issue. Faithless have had their album "Reverence" released in the U.S. on Arista Records on March 25, 1997. Promotional versions were released in advance: one version is in a special cardboard sleeve with ten tracks (like U.K. release), the other is the regular U.S. release with eleven tracks [includes bonus track of 'Insomnia (Monster Mix Radio Edit)']. was number one on the U.S. magazine Dance Music Authority's (DMA) Top 50 chart for May 1997. It was at number 14 on the April chart. 'Insomnia' was released as a single in the U.S. on February 25, including new mixes by Armand Van Helden. Tower Records in Boston sold out of its first shipment of CD singles by Friday, February 28 (and continued to sell out of the six track CD single for quite a while). The song was at number 4 on the Tower 12" singles sales chart for that week (and by March 22 had fallen off the chart, apparently). 'Insomnia' only started to appear in some other chain stores in the Boston area around the middle of March. Strange! HMV in Harvard Sq. still only had the two track CD as of April 13!. As of March 20, 'Insomnia' was number 6 on the Billboard chart for dance singles (compiled from a national sample of dance club playlists, updated every Thursday). As of March 27, it was number 8. The single was number 3 for CD single sales in Billboard's March 29th issue. There was an 'Insomnia' release party presented by Liquid and Arista at Club ManRay in Cambridge, Massachusetts, on Saturday, March 29. The first 100 patrons received copies of the 'Insomnia' promo CD, which is different from the commercial release of that single. Also, videos were to be handed out by the bartenders. Saturdays are Liquid at ManRay, a queer techno/dance night hosted then by DJ Liquid Todd, who has since moved to New York City. is being promoted as a single in the U.K. as of March 1997. It's due for commercial release in U.K. on April 14 on 2 CDs and cassette, and on April 28 on 12". The new Rollo & Sister Bliss remixes are uptempo dance numbers, according to a review in DJ Magazine (U.K.), issue no. 185, 15-28 March 1997. An Epic Mix of the song is included as well as a mix or two by Matty. The Armand Van Helden remixes of 'Insomnia' will be the b-sides. NME, March 22, 1997: ALWAYS GUARANTEED to get your batteries melting, Faithless return from the wreckage of their recent London Astoria show not with more dub-addled funk or the techno-skank breakdown of 'Insomnia', but with a caramel-coated jazz odyssey on the perils of the demon liquor. "One Special Brew I get pissed quick / And sick / So I don't do it no more..." Maxi groans, whilst a load of backing singers, redundant since PM Dawn stopped making records, warble away sweetly in the background. Be warned. This man's jeep appears to be only a few streets short of genius. has been remixed for a future single release, apparently. CASS, CHEK?? 500, ISBN# ? 2xLP, CHEK?? 500, ISBN# ? CD, INT 845.595, ISBN# ? CASS, INT ?, ISBN# ? 2xLP, INT ?, ISBN# ? All tracks produced and mixed by Rollo and Sister Bliss. except 2, engineered and mixed by Burnham. * 11. Remixed by Rollo, Sister Bliss and Goetz. 1. Vocals:  Dido. Programmed and remixed by Matty. 2. Written by Rollo and Sister Bliss. Keyboards:  Sister Bliss. 4. Written by Maxi Jazz, Pauline Taylor, Rollo and Sister Bliss. Rap: Maxi Jazz. Backing:  Pauline. Bass: Aubrey Nunn. Drums:  Matty. 5. Remixed by Way Out West. 6. Remixed by Rollo and Sister Bliss. 7. Remixed by Angelo D'Caruso. 8. Remixed by Rollo and Sister Bliss. 9. Remixed by Matty, Rollo, Sister Bliss and Goetz. Bonus tracks (CD 2) recorded live @ Pinkpop, Landgraaf in Holland. Produced and mixed by Rollo and Sister Bliss. Words written and performed by Maxi Jazz. Jamie Catto: Lead vocals on 11. Rachael Brown: Lead vocals on 11 and chorus vocals on 2, 6, 11. Boy George: Lead vocals on 5. Dido: Lead vocals on 8 and chorus vocals on 3. Pauline Taylor: Chorus vocals on 8, adlibs on 6. Dave Randall: Guitars on 2, 3, 5, 6, 8, 10, 11. Ibi Tijani: Programming on 1. Sudha: Percussion on 2, 3, 5, 10, 11. Pauline: Guitar on 1, 6, 9. Andy Gangadene: Drums on 5. Debbie French, Imani Saleem & Shannon Stewart: Backing vocals on 5. Will Malone: String arrangement on 1, 2, 4, 10. DJ Swamp: Scratchings on 3, 8, 10. Phill Brown: Engineering and mixing of 2, 3, 10, 11. Initial engineering by Nick Kirkland. Assisted by Andy Ward Grippa and Jason Howes. Recorded and mixed at Swanyard Studios, London. Mastered by Miles at Metropolis. A & R: Peter Edge. Cover and back photo by Jamie Catto?. 1 and 9. Written by Rollo and Sister Bliss. 2, 6 and 10. Written by Maxi Jazz, Rollo and Sister Bliss. 11. Written by Jamie Catto, Rollo and Sister Bliss. 3. Written by Maxi Jazz, Dido, Jamie Catto, Rollo and Sister Bliss. 4, 7 and 12. Written by Maxi Jazz, Rollo, Sister Bliss, Jamie Catto. 5. Written by Boy George, Rollo and Sister Bliss. 8. Written by Dido, Rollo, Sister Bliss, Dave Randall and Maxi Jazz. Jamie Catto: Lead vocals on 3. Rachael Brown: Lead vocals on 3 and chorus vocals on 2, 3, 7. Boy George: Lead vocals on 6. Dido: Lead vocals on 9 and chorus vocals on 4. Pauline Taylor: Chorus vocals on 9, adlibs on 7. Dave Randall: Guitars on 2, 3, 4, 6, 7, 9, 11. Sudha: Percussion on 2, 3, 4, 6, 11. Pauline: Guitar on 1, 7, 10. Andy Gangadene: Drums on 6. Debbie French, Imani Saleem & Shannon Stewart: Backing vocals on 6. Will Malone: String arrangement on 1, 2, 5, 11. DJ Swamp: Scratchings on 4, 9, 11. Phill Brown: Engineering and mixing of 2, 3, 4, 11. 1 and 10. Written by Rollo and Sister Bliss. 2, 7 and 11. Written by Maxi Jazz, Rollo and Sister Bliss. 3. Written by Jamie Catto, Rollo and Sister Bliss. 4. Written by Maxi Jazz, Dido, Jamie Catto, Rollo and Sister Bliss. 5 and 8. Written by Maxi Jazz, Rollo, Sister Bliss, Jamie Catto. 6. Written by Boy George, Rollo and Sister Bliss. 9. Written by Dido, Rollo, Sister Bliss, Dave Randall and Maxi Jazz. June '98 by Radio 3FM. Engineer: Paul Schoenmaker. 2xCD, catalog # D31891 / CHEKCD.503, ISBN # ? 2xCD, catalog # CHEKCD.503, ISBN # ? CD1 is the original U.K. album of "Sunday 8pm". CD1 is the original U.S. album of "Sunday 8pm". [this CD has original release catalog/ISBN # and picture on it. [No credits listed for bonus CD. See credits above for U.K. release. There are slight variations in track times between the U.K. and U.S.
12", DV 121, ISBN# ? CD, INT 828.051, ISBN# ? Produced by Rollo. Written by Rollo, Sister Bliss and Maxi Jazz. Rap written & performed by Maxi Jazz. Mixed by Rollo and Goetz. Engineered with love by Goetz. 1.  additional vocals by Collette, keyboards by Mr V.
2 and 3.  additional vocals by Dido, keyboards by Mr V.
2. Additional vocals by Collette. Keyboards by Mr V.
1, 3 and 5. Additional vocals by Dido. Keyboards by Mr V.
Edit on 3 by C.E.C. 4 and 6. Produced by Rollo and Sister Bliss. Keyboards by Sister Bliss. Additional vocals by Penny Shaw and Maxi Jazz. 7. Remix by Sister Bliss. Vox by Maxi Jazz. CD, [CHEKCD 010] INT 828.075, ISBN# ? Written by Maxi Jazz, Rollo and Sister Bliss. Vocals by Maxi Jazz. Produced and mixed by Rollo and Sister Bliss. Engineered and mixed by Goetz. CD, INT 828.098, ISBN# ? 3. Additional vocals by Roger. CD, INT 828.094, ISBN# ? Written by Rollo, Sister Bliss and Jamie Catto. Produced by Rollo and Sister Bliss. 1 and 2. Vocals:  Jamie Catto. Engineered by Dave Burnham. 3. Vocals:  Roger. Engineered by Dave Burnham. 1 and 5. Vocals:  Jamie Catto. Engineered by Dave Burnham. 2 and 3. Vocals:  Roger. Engineered by Dave Burnham. Mixed by Rollo, Sister Bliss and Goetz. Engineered by Goetz. 1&2: Vocals by Jamie Catto. 1,3,4,5 mixed and remixed by Rollo & Sister Bliss. SWF3 New Pop Festival. Mixed on the spot by Jo Theifen and Rollo. 3,4: Guitar by Dave Randall. Written by  Maxi Jazz, Rollo and Sister Bliss. Vocals:  Maxi Jazz. Backing vocals:  Pauline Taylor. CD, ORCOM 53210, ISBN # ? Mixed by Rollo, Sister Bliss, and Goetz. Engineered by Goetz. Live drums on 1 and 2:  Matt Benbrook. Recorded in glorious quadrophonic sound at Swanyard Studios, London. B. Produced by Rollo. Mixed by Rollo and Goetz. Vocals by Penny Shaw. Produced by Rollo. Written by Rollo, Sister Bliss, and Maxi Jazz. Rap written and performed by Maxi Jazz. Mixed by Rollo and Goetz. Engineered with love by Goetz. 1. Radio cut by Brenner + Saraf and Panic. 2, 3 and 5. Additional Vocals by Dido, Keyboards by Mr. V.
4. Vocals by Penny Shaw. Keyboards by Sister Bliss. 5. Remixed by Jodi Wisternoff and Nick Warren. 6. Vocals by Penny Shaw & Maxi Jazz. Keyboards by Sister Bliss. CD, INT 828.134, ISBN# ? Written by Rollo, Sister Bliss, and Maxi Jazz. Mixed by Rollo, Sister Bliss and Goetz. 1. Remixed by Orhan Terzi and Tommaso De Donatis. to Joachim Uhrig and Orhan's son Semih. 1, 2, 3. rap written and performed by Maxi Jazz. 2. additional vocals by Roger. 4. vocals by Roger and Maxi Jazz. Engineered by Spencer Henderson and Goetz. and Maxi Jazz. Rap written and performed by Maxi Jazz. 2. mixed by Rollo and Sister Bliss. Engineered by Goetz. 2. Additional Vocals by Dido, Keyboards by Mr. V.
1. Edited by Bill Padley at Wise Buddah. 2. Mixed by DJ Quicksilver. 3. Remixed by Way Out West. 5. Mixed by DJ Quicksilver. CD, INT 828.154, ISBN# ? 1. Remixed by Rollo, Sister Bliss, and Goetz. 3. Remixed by Tommaso De Donatis and Orhan Terzi at Noise Factory, Essen. [The Floating Mix has similarities to the album version and "Irreverence"
Raps written and performed by Maxi Jazz. 1. Remixed by Rollo, Sister Bliss and Goetz. Re-Editing and Overdubbing by The Fitch Brothers and Neil Petricone. and performed by Maxi Jazz. Mixed by Rollo, Sister Bliss and Goetz. 5. Written by Jamie Catto, Rollo and Sister Bliss. Vocals by Jamie Catto. Engineered and mixed by Dave Burnham. 4. Remixed by Tamsin. Engineered by P. Parsons at LMP. 5. Remixed by Rollo and Sister Bliss. Engineered by Dave Burnham. 1, 3, and 6. Remixed by Rollo, Sister Bliss and Goetz. 2 and 4. Remixed by Armand Van Helden for X-Mix Productions. 2. Re-Editing and Overdubbing by The Fitch Brothers and Neil Petricone. director of photography:  Simon Chaudoir. A & R:  Peter Edge. and Overdubbing by The Fitch Brothers and Neil Petricone. A1 and A2. Remixed by Armand Van Helden for X-Mix Productions. A1. Re-Editing and Overdubbing by The Fitch Brothers and Neil Petricone. B1. Remixed by Rollo, Sister Bliss and Goetz. B2. Remixed by De Donatis. Written by Maxi Jazz, Rollo & Sister Bliss. Produced by Rollo & Sister Bliss. Guitar:  Paulie. Bass:  Aubrey Nunn. Percussion:  Mal Hyde-Smith. Keyboards:  Sister Bliss. Rap written & performed by Maxi Jazz. Backing & additional vocals:  Pauline Taylor and Dido. Engineered by Nick Kirkland. Recorded at Swanyard Studios, London. 2. Remixed by Matt Benbrook. Additional vocals:  Pauline Taylor. 3 and 4. Remixed by Rollo & Sister Bliss. Keyboards:  Sister Bliss. 12" or 2x12"? promo only, CHEK.12019?, ISBN# ? CD, INT ?, ISBN# ? Written by Rollo, Sister Bliss and Max Jazz. Guitar by Paulie , Bass by Aubrey Nunn. Percussion by Mal Hyde-Smith. Keyboards by Sister Bliss. Backing and additional vocals by Pauline Taylor and Dido. 6. Remixed by Armand Van Helden for X-Mix Productions. Tracks 7 and 8:  Remixed by Sister Bliss. Track 10. Remixed by Rollo. Track 11. Remixed by Way Out West. 'Salva Mea' was not released at that time. Written by Jamie Catto, Rollo, & Sister Bliss. 1. Remixed by Ian Caple for SJP. Guitar overdubs by Robin Key. 2. Remixed by Rollo & Sister Bliss. Special thanks to Ian Caple. 3. Engineered & mixed by Dave Burnham. Art Direction: S.G. Lee. Photography by John Bentham. version is not used in these mixes. and respond to Jamie's words in a catchy new way towards the end. force. The background vocals are again slightly different in effect. comes back towards the end. film, "A Life Less Ordinary") has a gentle guitar intro. there are less of them. All three versions work well. 1. Mixed by Rollo, Sister Bliss and Jamie Catto. 2. Remixed by Ian Caple for SJP. Guitar overdubs by Robin Key. 3. Remixed by Nellee Hooper. Engineered by Jim Abbiss. 4 and 5. Remixed by Dianto. Engineered by Goetz. 1. Strings arranged by Will Malone. String leader: Gavin Wright. Strings cleverly macced by Goetz. 2. Remixed by Rollo & Sister Bliss. Tuned Productions. Additional 'touch' by Eddie Montilla. 1, 5 and 6. Remixed by Dianto. Engineered by Goetz. 2. Mixed and engineered by Goetz. 3. Remixed by Ian Caple for SJP. Guitar overdubs by Robin Key. 4. Remixed by Nellee Hooper. Engineered by Jim Abbiss. 5. Remixed by Nellee Hooper. Engineered by Jim Abbiss. promo only 3x12" vinyl, catalog # ? A, B, C, and E. Produced and mixed by Rollo and Sister Bliss. Words: Maxi. Keyboards: Sister Bliss. Programming:  Rollo. Maxi Jazz, Rollo, and Sister Bliss and Jamie Catto. @ State 51 Studios, London. F. Remixed by Serious Danger for ISB Productions. 1 and 2. Produced and mixed by Rollo and Sister Bliss. Words: Maxi. Sister Bliss and Jamie Catto. Cover photography: Ellis Parrinder. Design: Stylus/sgl. 1. Written by Maxi Jazz, Rollo, Sister Bliss and Jamie Catto. Scott Pittinski for Compound and Pat Thrall. Mixed by Michael Patterson for Worlds End (America). been distributed together as a 2x12" promo package. CD, catalog # FESTI M112615 (not confirmed), ISBN # ? the Sharp 'Lewd In London' Remix. 3. Remixed by Serious Danger for ISB Productions. 12" vinyl, CHEK12.028, ISBN # ? A. Produced and mixed by Rollo and Sister Bliss. Words: Maxi. CD, catalog # INT 8 86298 2, ISBN # ? Produced and mixed by Rollo and Sister Bliss. Words: Maxi Jazz. Written by Maxi Jazz, Rollo, Sister Bliss & Jamie Catto. Inc./Warner Chappell Music Ltd. (PRS), adm. by WB Music Corp. Produced and Mixed by Rollo & Sister Bliss. Tracks 1 and 4. Engineered and mixed by Goetz fo Z Management. Track 3. Additional Production & Remix by Anthony Acid. Album Mix' is also featured." Written by Maxi Jazz, Rollo & Sister Bliss and Jamie Catto. Vocals: Maxi Jazz. Keyboards: Sister Bliss. Strings arranged by Will Malone. Engineered by Goetz courtesy of Z Management. CD, CHEK.0? ?, ISBN # ? 12" vinyl, CHEK12.0? ?, ISBN # ? CASS, CHEKK.031, ISBN # ? 12", catalog # CHEK.031, ISBN # ? 12", catalog # 0522626, ISBN # ? CD, catalog # CHEKCD.031, ISBN # ? CD, catalog # 0522622, ISBN # ? 4. Remix and additional production by Sharam Jey @ Groove Park Studios. 1. Remix and additional production by Grant Nelson. 2. Remix and additional production by Sharam. 4. Re-sensed by JFC at silent chamber nine-eight. CD (Part 1 of 2), catalog #  CHEKCD.035, ISBN # ? CD, catalog # ?, ISBN # ? Pelham Power Productions. Additional vocals by J-Luv. 4. Remix and additional production by Paul Van Dyk. 3. Written by Maxi Jazz, Rollo & Sister Bliss. Vocals by Maxi Jazz. Keyboards by Sister Bliss. Engineered by Goetz for Z Management. 4. Written by Maxi Jazz, Rollo & Sister Bliss. Remixed by Armand van Helden for X-Mix Productions. CD,  catalog # 0523622?, ISBN # ? 2. Remixed by Blue Bottle. Engineered by Blag 3 Productions. Produced by Rollo & Sister Bliss. Engineered by Phil Brown. 1. Guitars by Dave Randall; backing and chorus vocals: Rachel Brown. Percussion: Sudha. Keyboards: Sister Bliss. Strings arranged by Will Malone. String leader: Gavin Wright. 2. Remix and additional production by Paul Van Dyk. 3. Remix and additional production by Robbie Rivera. 4. Remixed by Bluebottle. Engineered by Blag 3. 'Why Go?' written by Boy George, Rollo & Sister Bliss. Vocals: Boy George. Backing vocals: Rachael Brown. Bliss. Vocals: Maxi Jazz. Produced by Rollo & Sister Bliss. Design & photography by Stylus. 12", cat # CHEK12.038, ISBN # ? CD (Part 1 of 3? ), cat # CHEKCD.038, ISBN # ? CD, cat # ORCDM 53630, ISBN # ? 1. Remixed by Rollo & Sister Bliss. 3. Remixed by Rollo & Sister Bliss. Engineered by Ash Howes. Keyboards by Sister Bliss. Programming by James Sanger. CD (Part 2 of 3? ), cat # CHEKXCD.038, ISBN # ? 1. Mixed by Rollo & Sister Bliss. Guitar: Dave Randall. 2. Mixed by Rollo, Sister Bliss & Goetz. Engineered by Goetz. Bliss. Engineered by Goetz & Grippa. CD (Part 3 of 3? ), cat # CHEKRCD.038, ISBN # ? CD, catalog # 0550762, ISBN # ? CD, catalog # INT 8 87839 2, ISBN # ? 1. Mixed by Rollo & Sister Bliss. Vocals: Boy George. Guitar: Dave Randall. Additional programming: James Sanger. production by Bill Padley @ Wise Buddah Music, London. 3. Remixed by Rollo & Sister Bliss. Vocals: Boy George. Keyboards: Sister Bliss. Engineered by Grippa. 5. Remix and additional production by Fused for Marlin Management. Published by Wanton Music/BMG Music/Warner Chappell. Sister Bliss. Engineered by Grippa. Keyboards Sister Bliss. 1 and 2. Written by Pauline Taylor, Rollo, J. Catto and M. Bates. 3, 4, and 5. Written by Rollo, J. Catto and M. Bates. Produced and mixed by Dusted. Mixed and engineered by Nick Kirkland. Keyboards: Mark Bates and Jamie Catto. Percussion: Sudha. 12", CHEK.12022, ISBN # ? Bliss. Mark Bates steps in here as co-songwriter and keyboardist. 'Atmosphere' or 'Elegia', while being different from those. is more refined and intimate, grand but sharp and quickly changing. Not dance music, but music that makes its own way. 'Want You' is close to the Faithless sound of the "Sunday 8pm"
Published by Cheeky Publishing/BMG Music Publishing. Produced by Rollo/M. Bates. Engineered by Grippa. Keyboards by Mark Bates. Bass Tim Vogt. Percussion by Mal Hyde-Smith. Lead vocal by Luke Garwood. Backing vocals by Rachel Brown. 12", catalog # ?, ISBN # ? CD (Part 1 of 2), catalog # ?, ISBN # ? CD (Part 2 of 2), catalog # ?, ISBN # ? Rachael Brown. Guitars by Martin McCory. Bass by Tim Vogt. A1. Remix by and additional production by Bent for Stream Management. B1. Remix by and additional production by Orchestral World Groove. B2. Remix by and additional production by Hempolics. Remix engineered by Grippa. Remix Keyboards Mark Bates. & Dido. Keyboards:  Sister Bliss. Programming:  Rollo. Engineered by Dave Burnham. Recorded at Swanyard Studios, London. Courtesy of Cheeky Records Ltd.
Rollo Armstrong/Maxi Jazz/Pauline Taylor. Produced by Faithless. Arista Records, Inc.  _P_ 1998 Cheeky Records Ltd.
CASS, catalog # 31079-?, ISBN # 6 4344-31079-? ? Track 10. Performed by Faithless. Written by Maxi Jazz, Rollo and Sister Bliss. Vocals by Maxi Jazz. Ltd./Warner Chappell Music Ltd. (PRS)/Fox Film Music Corp. (BMI). 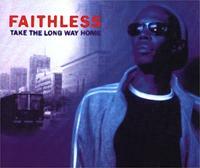 Faithless appears courtesy of Cheeky Records (UK)/Arista (US). Produced by Rollo and New Order. Engineered by Grippa. Steve Osbourne for 140 DB. Programmed by Andy Gray for 140 DB. Ltd/Warner Chappell Music Ltd. (PRS)/Fox Film Corp. (BMI). New Order appears courtesy of London Records.